Let’s face it: Making more money is something that many of us are interested in. We might want more responsibility, for example, and with that should come a boost in your paycheck. Or you might want to bring your salary into line with others in your profession. Finally, you might have gained some experience and education that should have some commensurate compensation, too. But getting a boost in your salary? Well that can be a tricky conversation. You might have never asked for a raise before, or you might not know how to structure the ask. 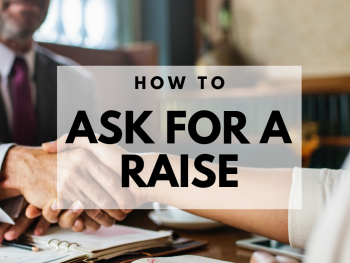 And if you’re not comfortable or don’t want to be thought of as pushy, you might skip asking altogether which can make you even more cranky when it comes to considering your pay. 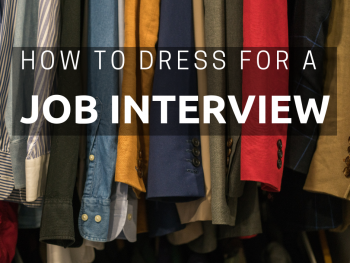 So how can you structure the conversation and get what you deserve? This graphic offers some ideas. If you want to be fully prepared to ask for a raise, check out our Compensation & Negotiation Coaching package. 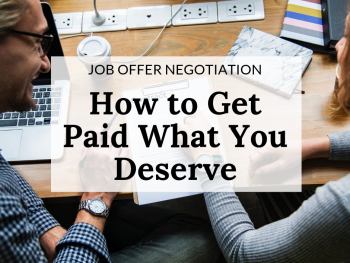 It covers all the bases—understanding your market worth, preparing for the conversation, learning how to structure responses and compensation requests, and expert support throughout the negotiation process.